"Mothers" are itself the most valuable gift which God has gifted every child with. She is that special being who brought you to earth and made your life possible. So it’s your time to pay back and show your mom how much you love her. Though no material gift can actually be worth of your mother’s love but still presenting small gifts to your mother is actually in way showing your gratitude towards her! Thus gifting your mom in a way shows how much you care for her and what is her worth in your life. 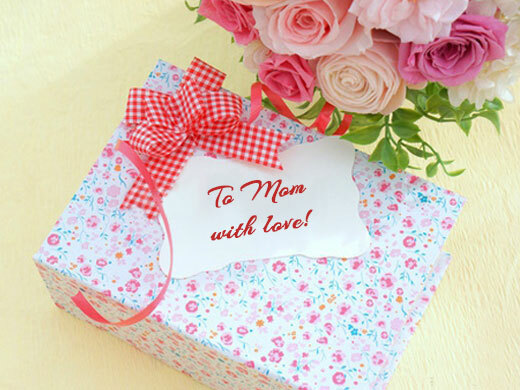 Thus a pertinent question which is bound to prevail in every mind is what to gift your mom on this special day? 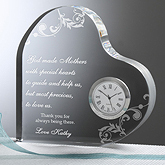 Well, you need not have to worry for TheHolidaySpot provides you with an assortment of wonderful gift ideas which is sure to assist you in choosing the right gift for your mummy on Mother's Day. Check them out for yourself and decide whichever gift idea you think is suitable for her. Mother's Day is the occasion to honor the most divine creature on Earth. It is the time to give back to our moms a fraction of the love and care which she showers on us every day. And what better way to do so than giving her gifts that she'll like? You can always show your mom how you appreciate her by giving a gift that pampers her. While you embark on a quest for the perfect gift for your mother, it would be good if you pick one according to her personality, taste and choice. Spend some time and thought in choosing the right gift that will suit her tastes. Get her something that she'll cherish; a well thought-out gift will make your mom remember the day every time she uses it. 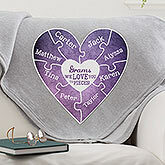 Go over some fantastic gift ideas which would, no doubt, make this Mother's Day memorable, for you and for her. 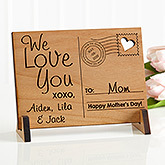 Sending a wonderful greeting card to your mother wouldn’t be a bad idea at all. And if your mom loves flowers and fragrance, you can simply add a beautiful rose to your card and promise-card booklet for her. It would be better if you handcraft special greetings for the day. It would go a long way to show your feelings for her. A magnificent bouquet of flower basket can do wonders on this Mother’s Day. Flowers are always a good choice and form a classic staple in Mother's Day gift-giving traditions. Another staple Mother's Day gift can be that of a perfume. Perfumes teamed with flowers are an instant hit with the ladies of all age. You can buy your mother some perfume with soothing fragrance, or a beautiful atomizer bottle for her use. If you plan to buy a new dress for your mummy, look at the colors she wears. These are excellent clues for colors that she prefers and feels comfortable wearing around. Look out for any dress, casual or just formal office wear, that she has plans to purchase, and buy it for her beforehand if you can afford it. You may also buy her any item of formal or casual wear that she needs, such as a good hair clip or a scarf, or accessories like watches, cell phones and handbags, and not necessarily a dress. Do not present her with utility clothes or similar gifts that take a lot of effort to assemble. Gifting your mom with items related to her hobbies can be actually a perfect gift for her. For instance if your mom has a liking for music, you can gift her CD of her favorite music artist. And if she enjoys reading, how about gifting her book by her favorite author/authoress? She is sure to like it. 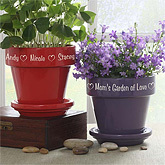 If your mom loves gardening, gifting her with potted plants, garden wires, flower supporters, flower racks and some such gardening items will make another great gift idea. Jewellery is sure to enchant every lady on earth. And your mom is surely no exception. Gifting some jewellery would surely be a nice idea. You can gift her with a little piece of adornment, such as a ring or a pendant. A very popular Mother’s Day gift is "Boy and girl charms". "Birthstone charms" are another hit. A recipe book is perhaps one of the nicest gift ideas to try on Mother's Day. If your mom loves cooking, giving her a nice cookbook as a present will be a great idea. And it also means, she'll prepare more lip-smacking recipes for you. 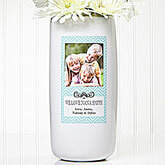 Since your mom manages the household affairs, gifting her with household items make a great gift idea on Mother's day. You may present her with items that will help her in her daily chores (say a vacuum cleaner, a mixer, a washing machine etc).Find out if she is planning to get a new microwave or that new steam iron and then try gifting her if it comes in your affordability. Toiletries can also be gifted if your mum is very particular about her personal hygiene and cleanliness. If she is into home decorating give her either something for the house or a gift certificate to any home decor store. The latter will be a good idea as it will let your mom decide what she wants and she can go on a shopping spree. You should go with her at least initially to help her select the items she wants. Big decorative home decor purchases should best be left to her discretion. But make sure you don't forget to personalize these home durables with some add-ons like a perfume or a bouquet of flowers. Get up before she does, prepare her favorite dish and give her a treat. If cooking is not your cup of tea, you can order her favorite dish secretly and surprise her by letting it arrive at mealtime. You can also arrange for a quite little party with special and closed ones for her. You can invite some of her friends by prearrangement and give her a surprise. A gift idea well tried and tested for Mother's Day is gifting free gift coupons. Pamper your mommy dear with movie tickets, spa coupons or a ticket to a Broadway musical. 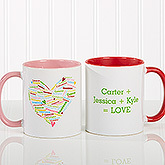 If she has a hobby of collecting, how about gifting her an item that she is fond of collecting? Many women collect items such as cups, small ornaments or bells. If she likes vintage porcelain crockery, how about gifting her a set of that? If she likes outings, try to arrange for an outing with her along with your entire family. She will love it for sure. An outing at the countryside, to the zoo or any of her favorite spot is sure to fill her with the warmth of your care. Finally, remember that the best gift that you can give her is by spending some quality time with her, especially if you are not staying with her. Mothers are not bothered about the type or quality of gifts. It is our love which matters most to them. Mothers can sense your feelings with your gift, so it doesn't matter how expensive the gift is, as long as it is from the heart. Whatever your gift is, make sure that it shows your feelings for her. Make sure that it stays with her for a long time.